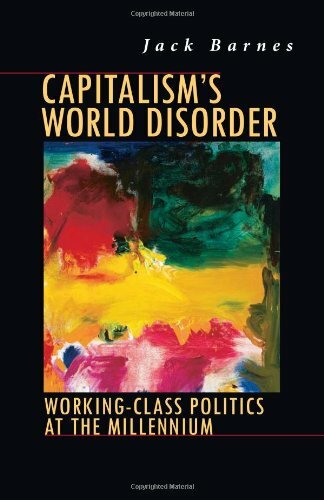 Capitalism's World Disorder - The social devastation and financial panic, coarsening of politics, cop brutality, and imperialist aggression-all are products not of something gone wrong with capitalism but of its lawful workings. Yet the future can be changed by the united struggle of workers and farmers increasingly conscious of their capacity to wage revolutionary struggles for state power and to transform the world. The social devastation and financial panic, coarsening of politics, cop brutality, and imperialist aggression�all are products not of something gone wrong with capitalism but of its lawful workings.